Dandelion is Blake's new record and 2nd solo album. It follows Small Town's previous release, It's Not Here quite nicely. Dandelion, features the acoustic, somber sound he's been writing for over 15 years, but continues to surround itself with beautiful cello throughout and distant drums on a few tracks as well. It combines life's difficult moments with some of life's greatest and simplest pleasures. 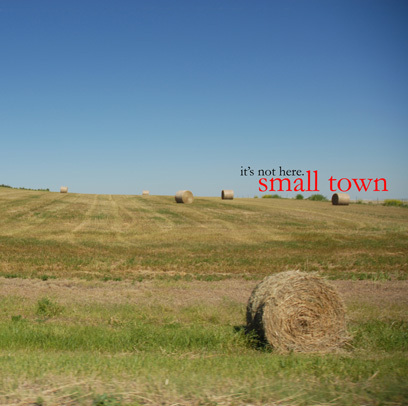 It's themes are similar to Small Town's record. Several of these songs were written during or just after the Small Town era. This latest album calls on the good friends and musicians he's worked with over the years: both Robert Martin and Seth Woods play on tracks. Dandelion was recorded and produced by Blake's good friend and talented musician, Steve Zydek. 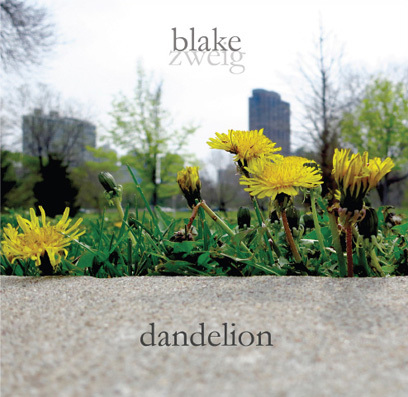 To some degree, Dandelion is a retrospective on the last 10 years of Blake's songwriting, travels, friendships, relationships, and his return home to Chicago. Blake and Steve Zydek would get together whenever Blake returned home for a short visit. While the Zydek children went to the mall with their mom Heather, Blake and Steve recorded one song at a time over an 8-10 year period. Dandelion represents friendship and never losing your smile, or knowing that your smile is never too far away. Small Town's It's Not Here gets away from Blake's previous melancholy, heart-breaking sound and allows hope, understanding, and love to enter back into one's life. Blake sings about his travels around the country and his quest, and eventual understanding, of trying to find the perfect small town to live in, the perfect scenery to hike in, and the perfect woman, of course, to marry. Small Town is about the right moment that you'll always remember, the friends you grew up with that you will never replace, and the recovery and re-emergence of love. With the charming addition of drums, bass, and cello to Blake's finger-picking sound, Small Town's It's Not Here was immediately noticed by listeners such as Chicago radio's WXRT Richard Milne. This was Blake's first solo album. Blake and heartbreak absorb this record. From broken relationships to family values gone bad, loneliness to hope and back to loneliness again, Blake had a great deal to pour out when writing these songs. This record got Blake started within the singer-songwriter world. Following this release in 2001, Blake entered the scene with his acoustic guitar and powerful, yet somber voice, opening for impressive performers like Mark Kozelek of The Red House Painters. If you want to know more about Blake, just listen to this record. Everything you need to know is in Other People Make Me Do This. His closet is wide open. Blake's Song White Sail from the album Other People Make Me Do This is used poignantly at the climax of the film Sagas Øy and plays through the credits. Saga (10) lives on an island with her dad. 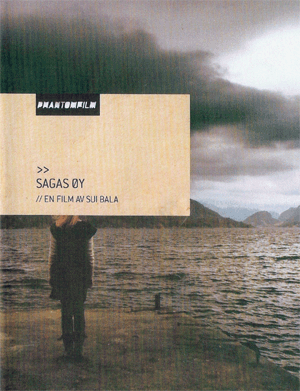 Refusing to accept that her mother will never come back, Saga has developed a hostile relationship to her father. When her father brings home a new girlfriend, Alina, Saga does everything she can to get rid of her. In the process she learns to accept the loss of her mother.